Thank you Bloomingdales for sponsoring this post. As always, all opinions are mine. Even though the official first day of winter is few days away; we had our first snow day yesterday and the temperature has been utterly cold. Dressing up and staying stylish during the cold season can be tricky. 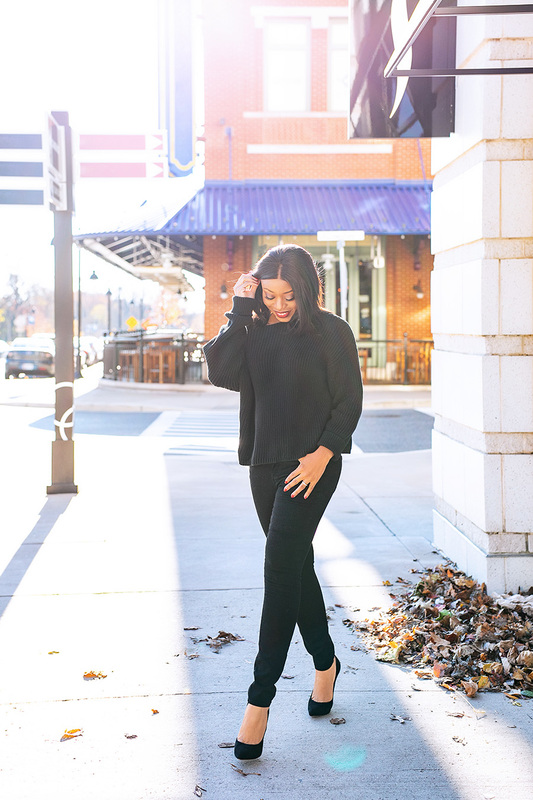 Sometimes it seem like a struggle trying to find stylish and chic pieces that's still appropriate for the cold weather.That's why chunky knit sweaters and jeans are typically my go-to look for casual winter days. NYDJ jeans are currently my favorite jeans to wear. They are super comfortable and stretchy. 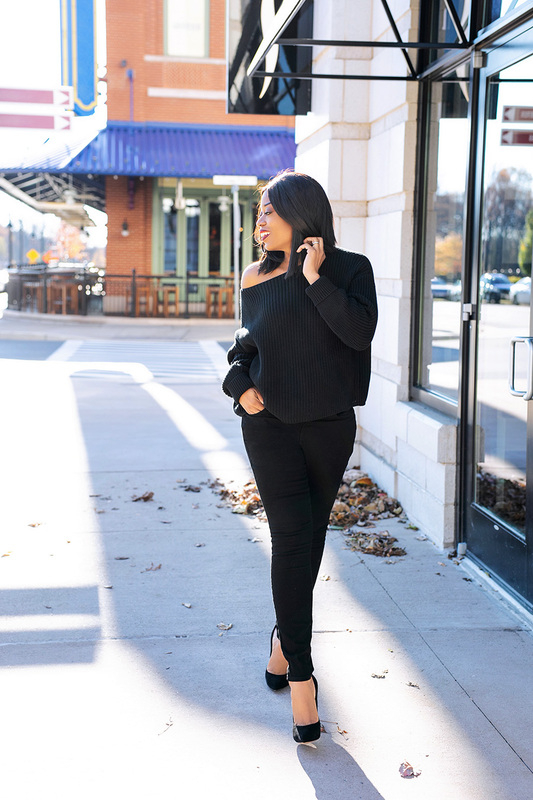 Every season, I add a new quality black denim to my wardrobe and this NYDJ skinny jeans fits amazing. The jeans' deep dark tone, stretchy feel and fit makes for a perfect denim. I can easily pair with heels or tucked into my boots. I also added this NYDJ grey skinny jeans. 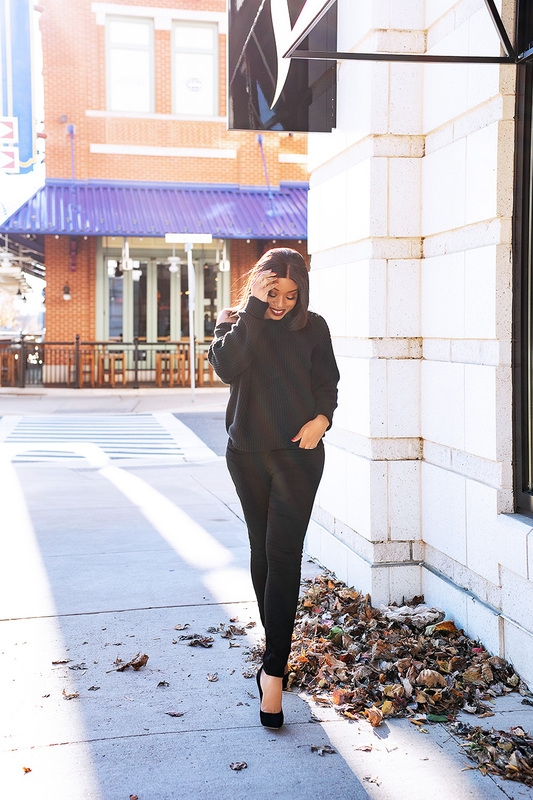 When it comes to shopping for pieces for winter, I always check out Bloomingdales due to their broad variety of brands, easy shipping and return policy. One thing for sure is that I know I am guaranteed to find items from casual pieces to formal looks for the winter season and beyond. For today's winter casual look, I created a monochromatic look by pairing the black skinny jeans with this black boatneck sweater.